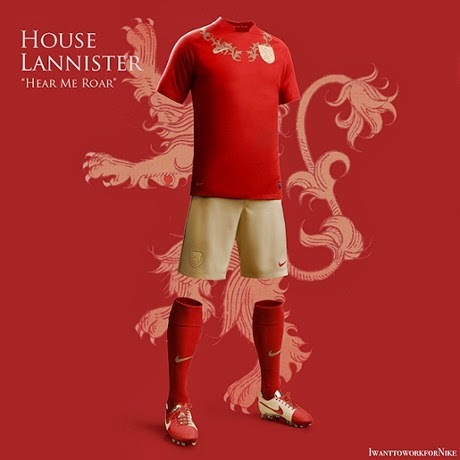 Spanish designer Nerea Palacios, took inspiration from HBO's hit series Game of Thrones for her latest project. 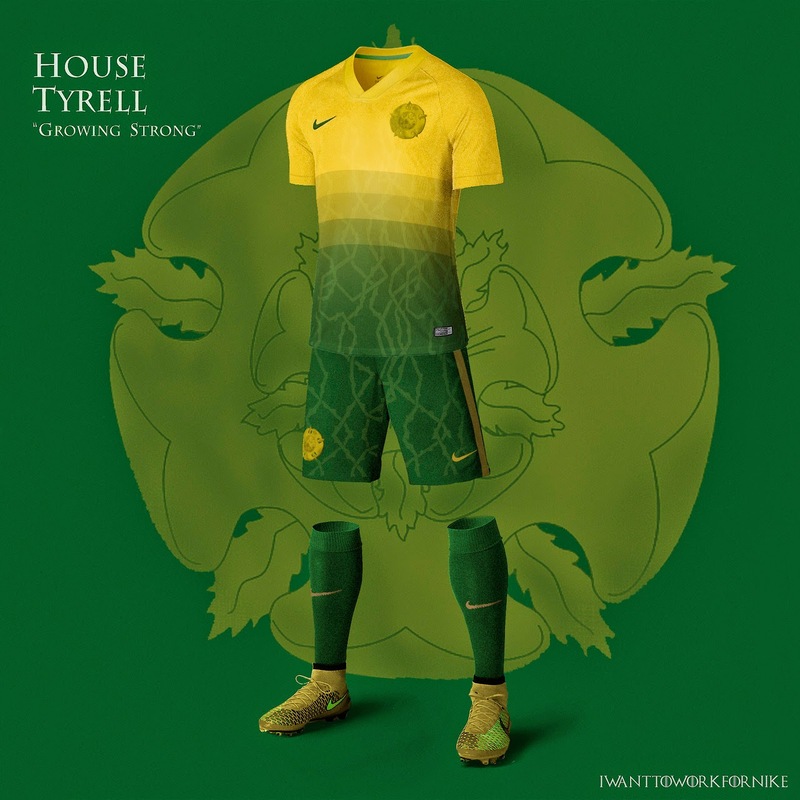 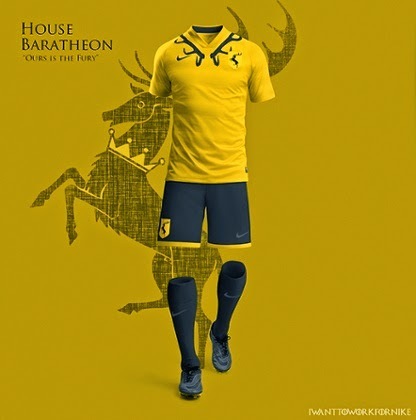 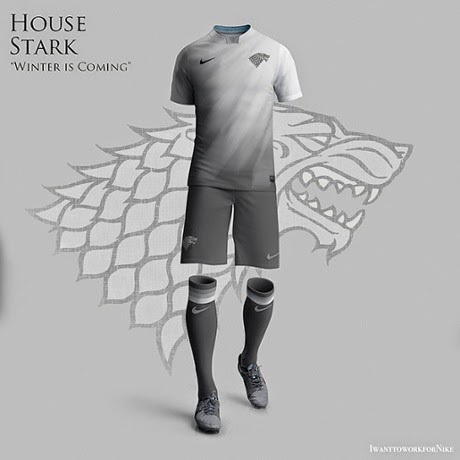 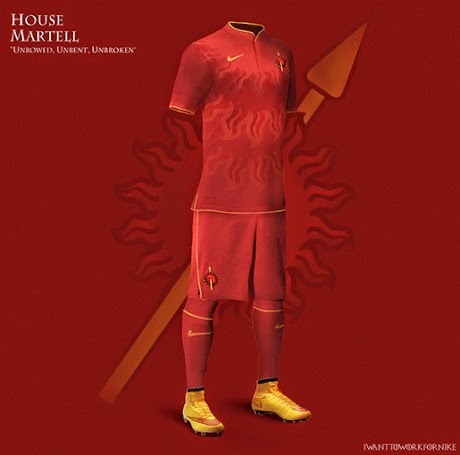 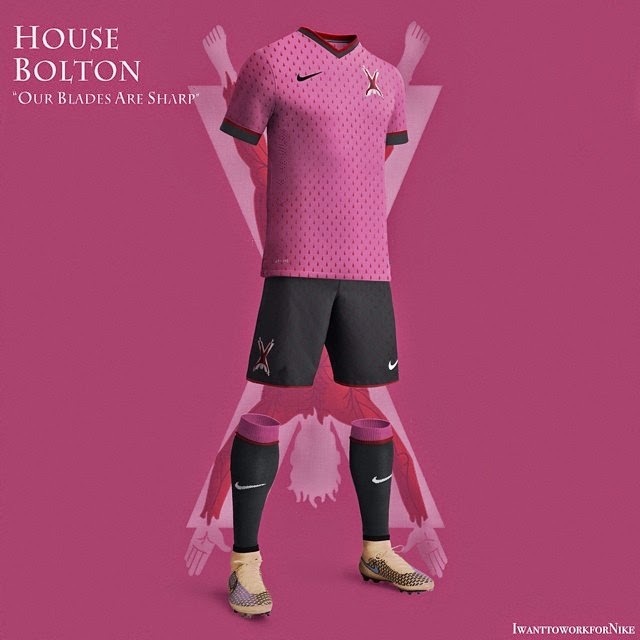 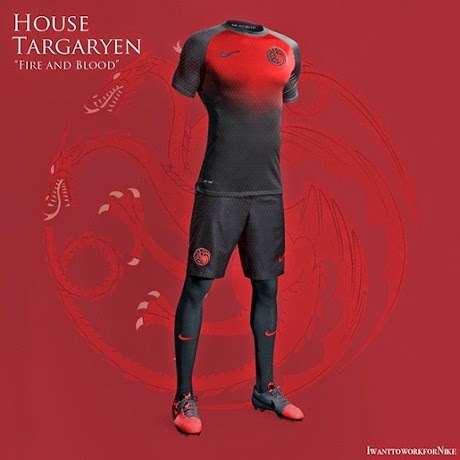 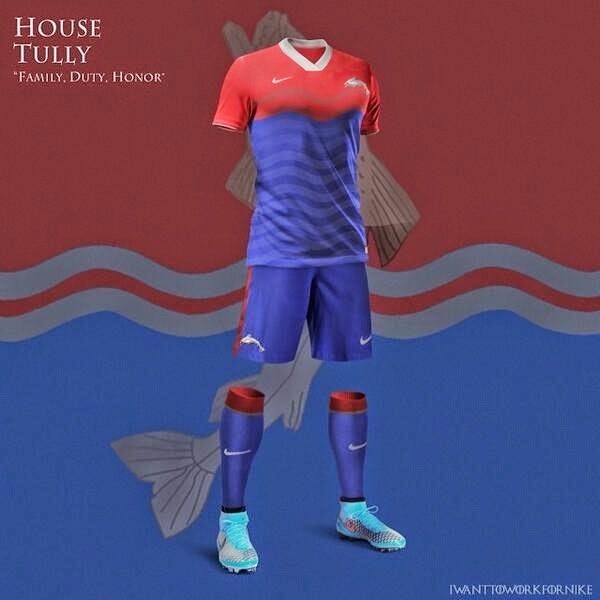 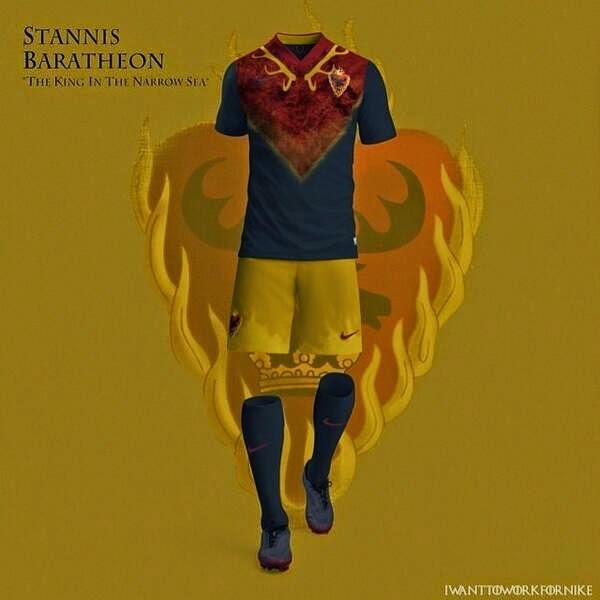 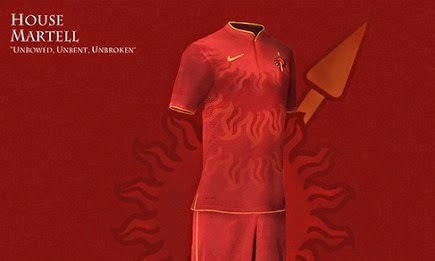 She has a dream of one day working for Nike, so what better way to show them her talents but to create a World Cup inspired kit for all the families in the hit show Game of Thrones. 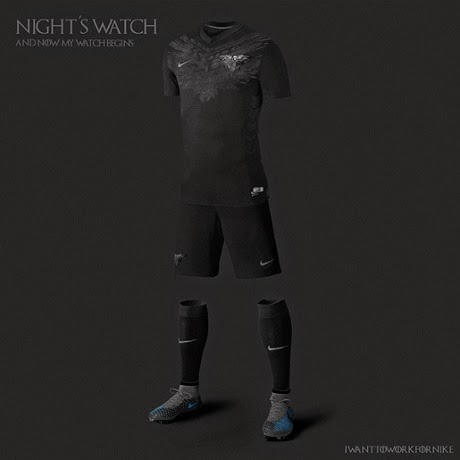 I hope she realizes her dream, her works are incredible.